Christmas isn’t just about buying gifts. It’s also about spending time with loved ones and making the most of your time off. Buy small gifts to open on Christmas Day and go shopping for a larger gift in the Boxing Day sales. The evening before and the day itself can both be stressful. Here are some suggestions to help reduce the stress and the cost. Arrange for everyone to ‘bring a plate’ on Christmas Day so everyone pitches in and splits the cost and effort. Water your garden sparingly to save on costs or consider investing in a water tank. 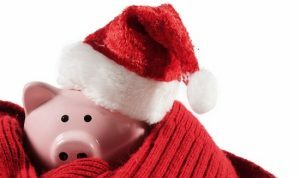 Try to have your bills paid up before Christmas so you don’t have any surprises in January. Plan family dinners at home rather than going out to eat. You can make your own fast food like pizza or burritos. Movie night at home with home-made popcorn. Take a look at some more tips on cheap school holiday activities. Open a high interest savings account and contribute a small amount to it every pay day throughout the year. For example, saving $20 per week adds up to over $1,000 in one year. 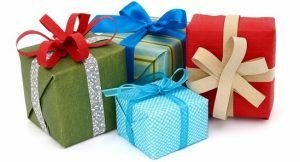 Pre-plan larger gifts and layby 3-6 months in advance so you can pay them off over time. Remember Christmas is just one day in a year – there are 364 other days to budget for. You’ll enjoy Christmas more if you spend smart.